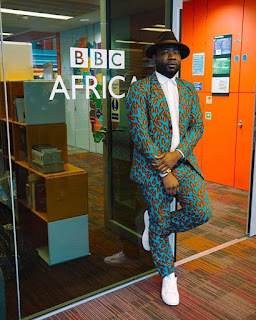 Ghanaian-American hip-hop artist, filmmaker, and visual artist Samuel Bazawule well known by stage name Blitz the Ambassador has been named a 2019 TED Senior Fellow. The filmmaker who’s recent production Burial of Kojo won ‘Best Narrative Feature’ at the Urbanworld Film Festival joins a tall list of other from different parts of the world. As part of celebrating 10 years of TED, this year’s TED Fellows class represents 12 countries across four continents; they’re leaders in their fields — ranging from astrodynamics to policing to conservation and beyond — and they’re looking for new ways to collaborate and address today’s most complex challenges. TED2019, will hold from April 15-19, in Vancouver, BC, Canada.